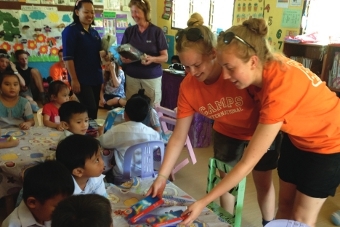 A LUCKY group of Year 11 students from The Winston Churchill School enjoyed a once-in-a-lifetime adventure this summer. Together with 14 students from two other schools, they travelled half way across the world to Borneo, now officially named Myanmar. Their real journey began on Mantanani Island, though, where they joined excited locals in celebrating the end of Ramadan. 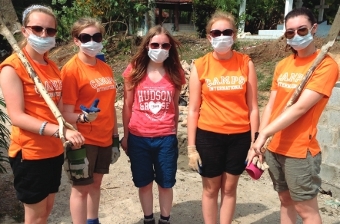 With the partying over, though, the hard work had to begin, and that’s when the group involved themselves with many different projects, among them laying the foundations for a new kindergarten; cutting the bamboo to make fencing for a community centre; and cleaning-up beaches. But their journey of self-discovery did not stop there. 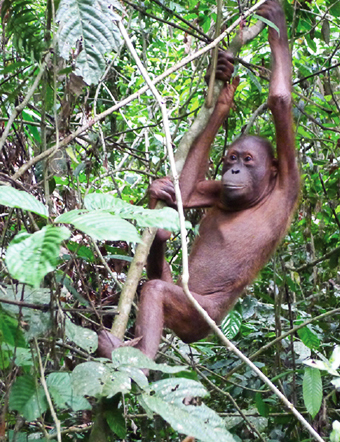 As part of a forest regeneration project to cultivate habitats for animals, the group planted 250 trees and spent three nights sleeping in hammocks in the jungle. On top of this they completed a three-day PADI diving course, taught English to primary school and nursery children, and visited an orangutan rehabilitation sanctuary, where they befriended many orangutan ‘inmates’. The camp staff played a pivotal role in providing the students with experiences they will never forget, building their confidence and independence.